The QUALITY POLICY requires, in compliance with our corporate mission, to implement all company processes within prescriptions of ISO 9001:2015 normative. The highest level of effectiveness and efficiency of performed trainings, to achieve a balanced quality/price ratio within the commitments with our Customers and the mandatory legal provisions. The fulfillment of objectives planned through Quality Policy will be achieved also through a scrupulous and prompt application of the prescriptions of our Quality Manual, which defines and describes our Corporate Quality System. The Top Management pursues the complete realization and the continuous development of the Quality System with the goal to consolidate and improve the corporate image through the commitment and the expertise of the entire corporate personnel. Waste minimization of time, costs and resources. Commitment to continuous improvement of the effectiveness of the Corporate Quality System. Considering in addition to the final Customer, several “bodies” also exist within the Company, represented by its functions and every single employee; everyone shall consider “the other” as his own Customer and offer the best service to achieve corporate objectives and continuous improvement. 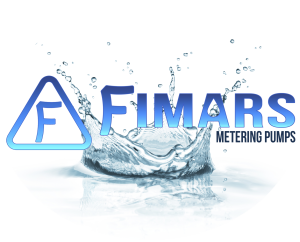 Therefore, every FIMARS collaborator is responsible for the Quality of its own work also in front of the other functions within the Company. It is well known Quality in its wider conception has economic implication because failure to Quality shows up through higher direct or indirect costs, evident or cloaked; further, failure to Quality causes a deterioration of the corporate image, of the outputs and often a higher risk for Safety, Environment and Privacy. Therefore, common goal of the whole Organization becomes the minimization of non-conformity of service, products and Safety. Everyone is protagonist in fulfilment of Corporate Quality, in every phase of the process, through an effective and efficient application of the Quality Management System and continuous improvement of operations, competences and expertise. Top Management considers this Policy as reference for the management of our own Quality System and for the annual definition and review of its own objectives. This Policy shall be distributed to all FIMARS collaborators and made available to all other Stakeholders. Top Management has defined a Code of Conduct as main tool to pursue the planned objectives in compliance with the present Quality Policy. All FIMARS collaborators and personnel are aware of and comply with this Code of Conduct, as detailed in the following points. Provide Customers with clear and truthful technical and commercial information to allow, through knowledge, conscious, prudent and convenient choices. Build a relation with the Customer promoting a win/win scenario among Corporations. Assess problems, identifying common interests and mitigating divergent points. Operate to consolidate searching for an answer to reciprocal needs with the objective to always build and never overwhelm. Preserve fairness with Suppliers avoiding personal relations, which might cause favoritisms or discriminations always considering that shall not exist operative relations outside the corporate context. Perform its own job with commitment and passion, collaborating with all colleagues constructively, assisting, supporting and correcting who is making a mistake in his own job or wasting corporate resources.